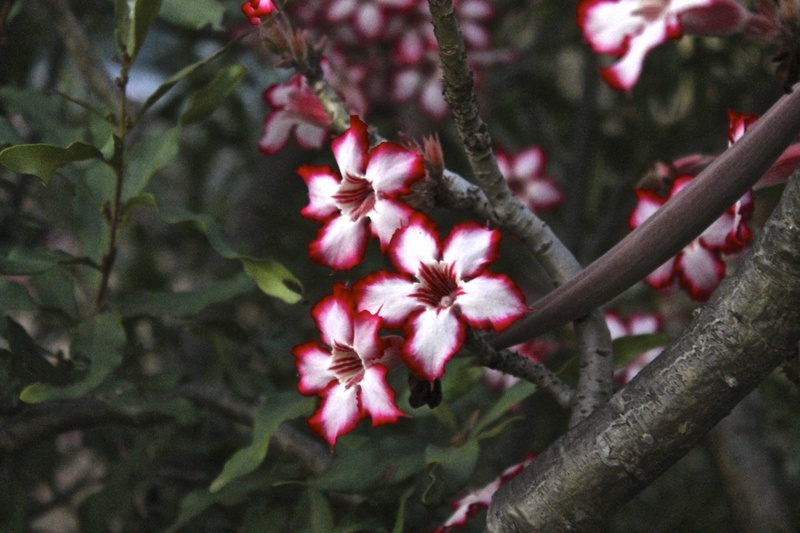 Here is the second part of my photos from Kruger. Enjoy! 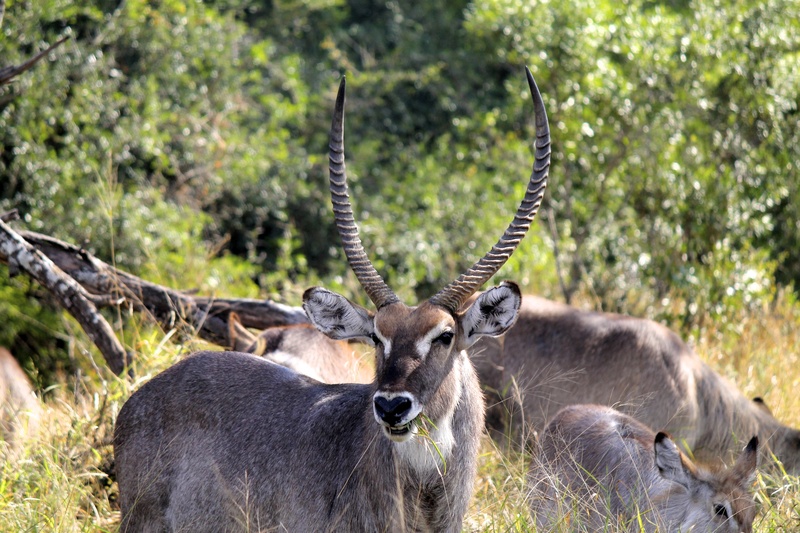 Waterbuck (Kobus ellipsiprymnus) (Afrikaans: Waterbok) – these were one of my favourite antelopes that we encountered in the park. 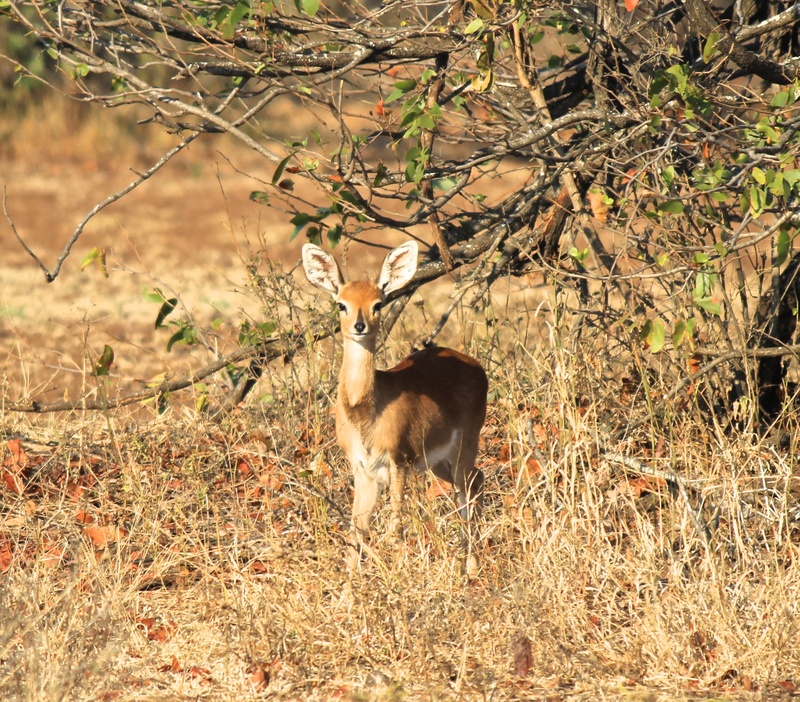 They have beautiful white markings on their coats and the males have long, perfectly curved horns. 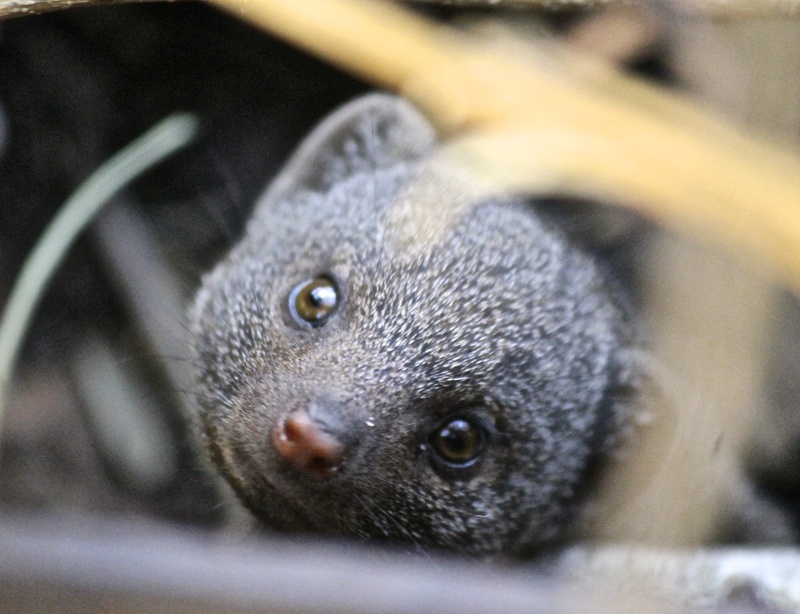 Common Dwarf Mongoose (Helogale parvula) (Afrikaans: Dwergmuishond) – we saw this little guy playing on the grass in one of the camps. When I approached, he ran back into his burrow and I had to wait 10 minutes for him to be brave enough to come out and inspect. 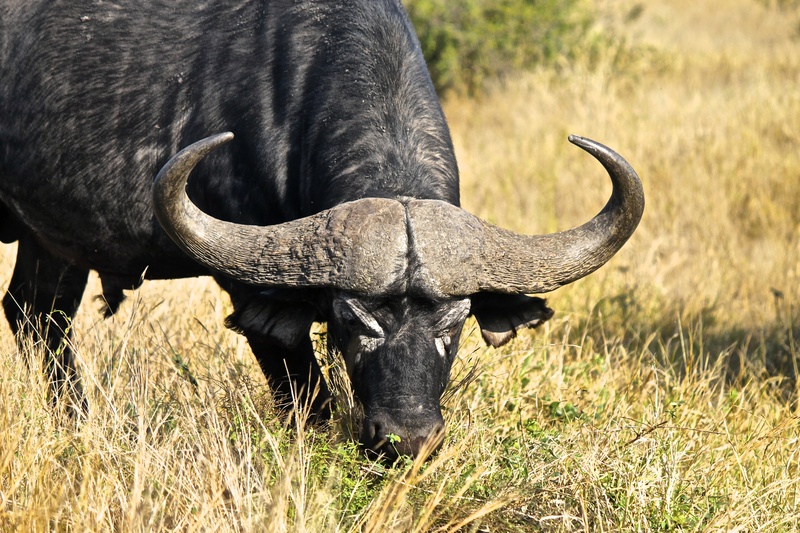 African Buffalo (Syncerus caffer) (Afrikaans: Buffel) – its highly unpredictable behaviour makes this animal very dangerous to humans (look at those horns!). 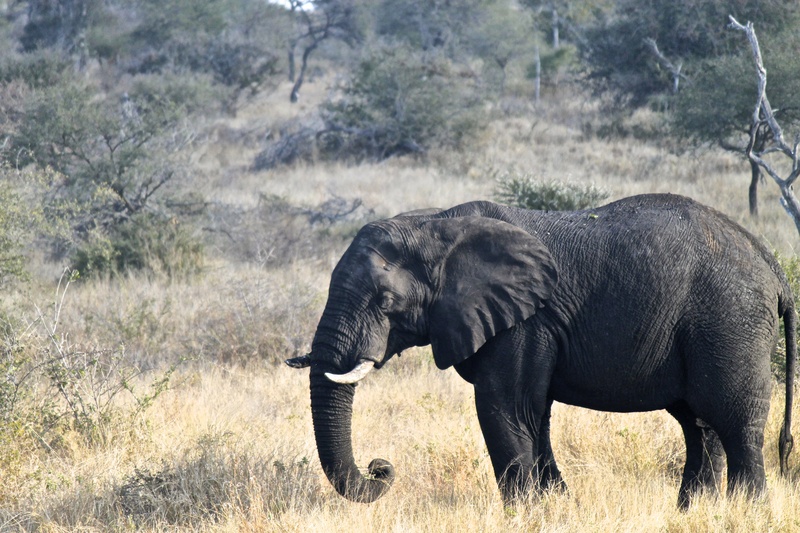 African Elephant (Loxodonta africana) (Afrikaans: Olifant) – these guys can also be very dangerous. We were driving up a deserted road and one came out in front of us and almost charged. They don’t like us getting too close! 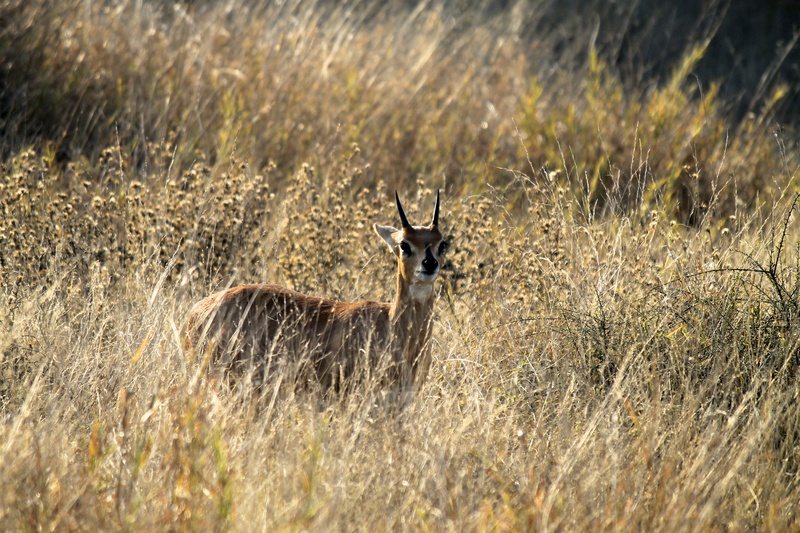 Steenbok (Raphicerus campestris) – this shy little antelope stands at about half a metre high. 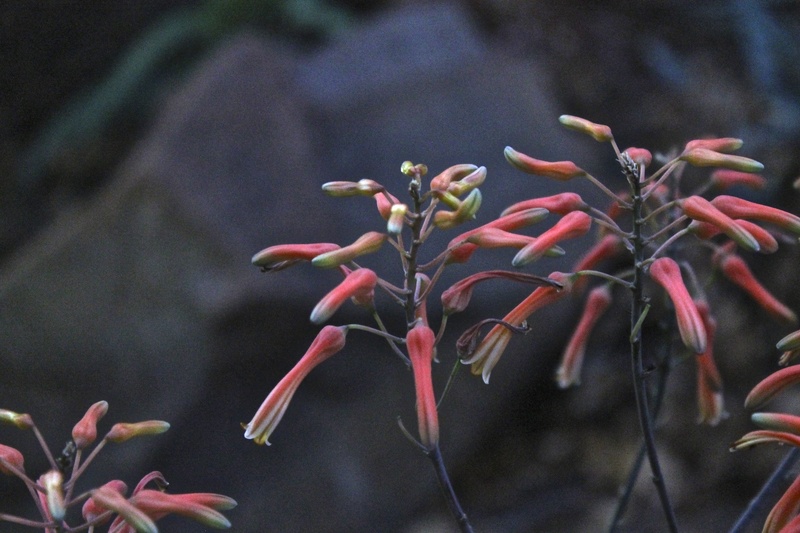 The females are slightly larger, but only the males have horns. 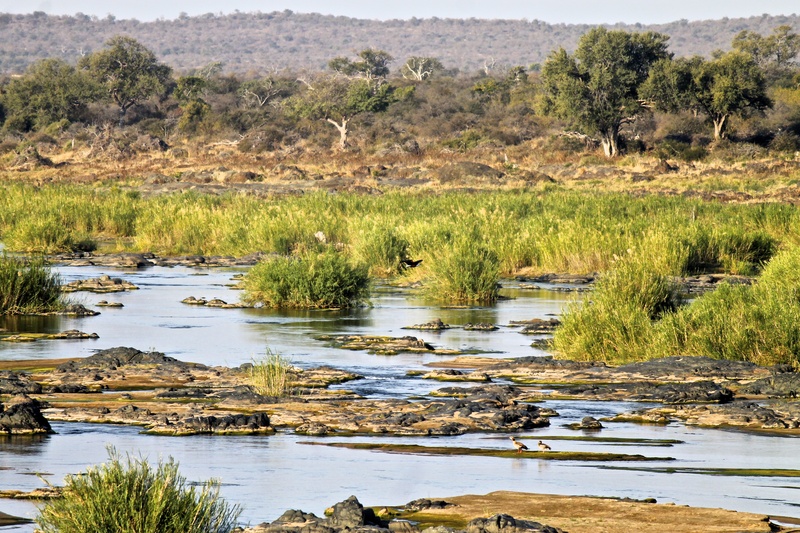 Taken on a bridge over the Sabie river. 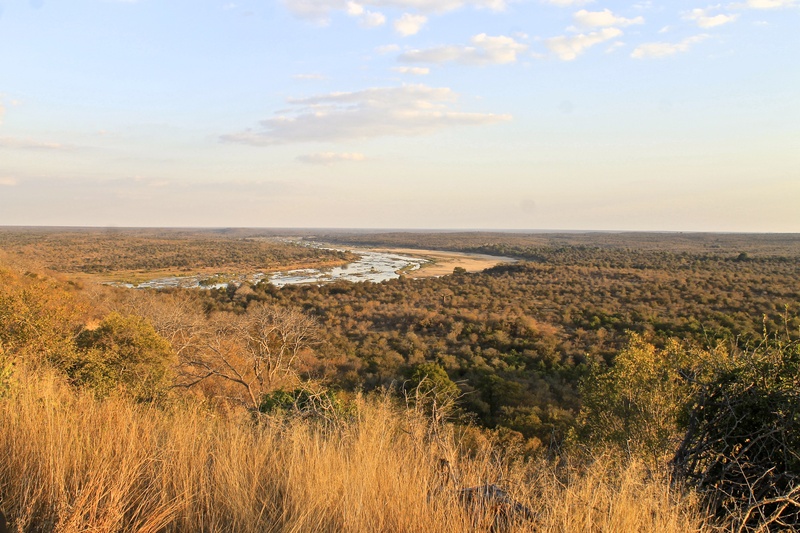 The Olifants river from the hill approaching the camp. 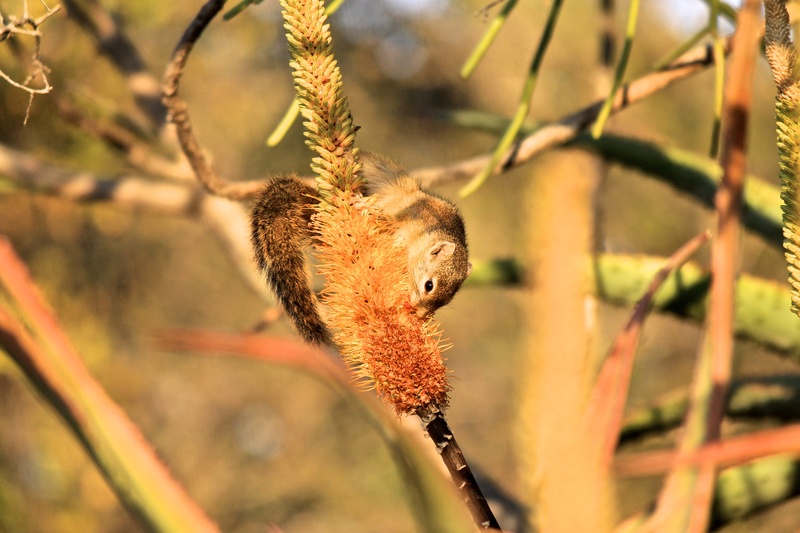 Smith’s Bush Squirrel (Paraxerus cepapi) (Afrikaans: Geelpooteekhorinkie) – foraging in the early morning at Olifants. 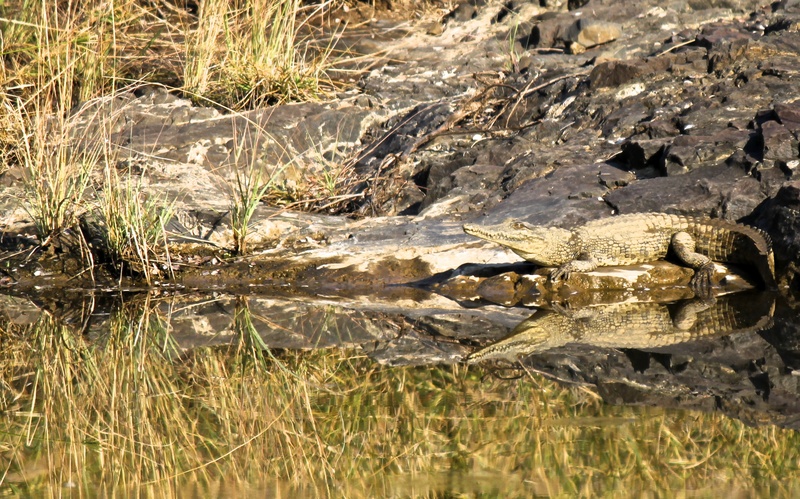 Nile Crocodile (Crocodylus niloticus) (Afrikaans: Krokodil) – the second largest reptile in the world, after Australia’s saltwater croc. But this little guy had a bit of growing to do yet. 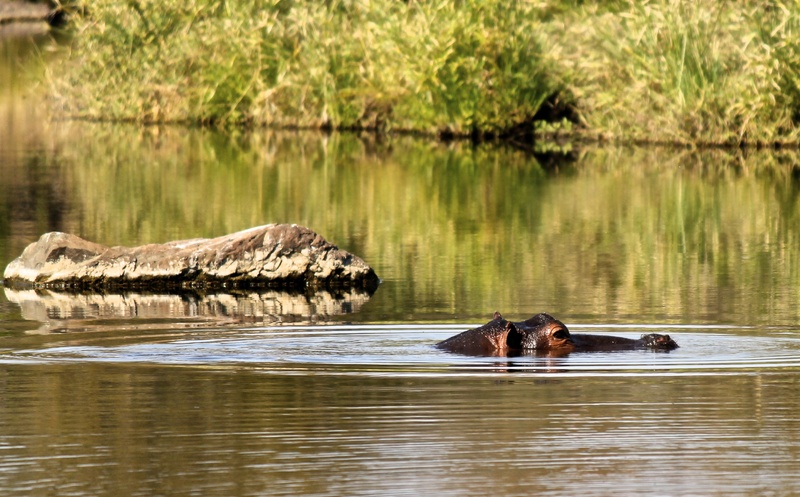 Hippopotamus (Hippopotamus amphibius) (Afrikaans: Seekoei) – we waited a while at a river crossing for this hippo to come out of the water for a better shot, but apparently he was more content swimming. 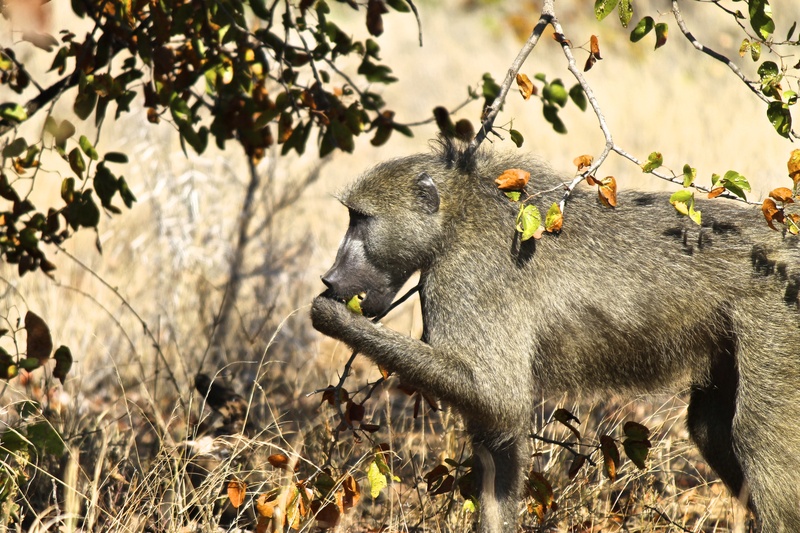 We sat and watched this adult baboon feeding itself on the side of the road – they behave and move remarkably like humans.